Olio Design & Co is a small design company that offers custom designed Olive Oil decanters with your unique company's branding, making it an ideal gift for your clients and customers. 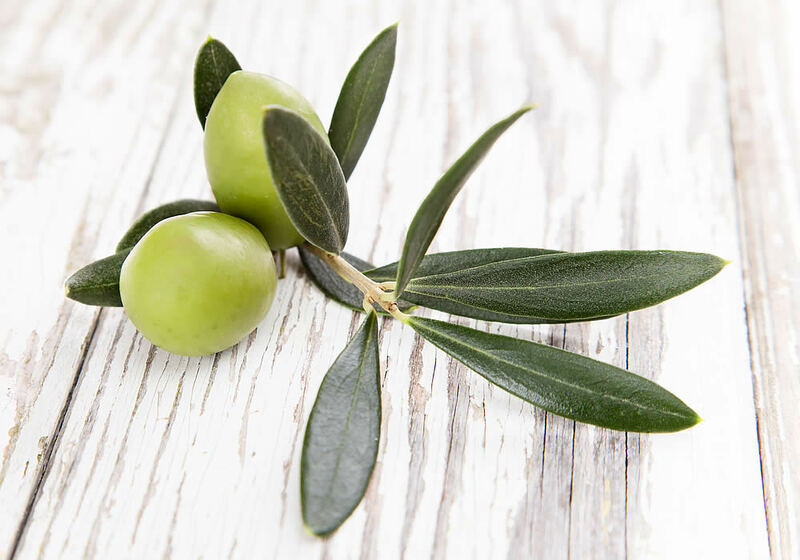 The award winning product that we brand is non-other than Rio Largo Olive Oil. All designs are custom designed to each client’s specifications and corporate identity. 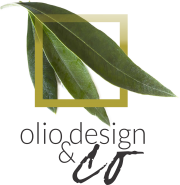 Olio Design & Co began when a need arose to support 2 family members that had lost their mother, their only surviving parent. Both small children were aged 9 months and 18 months at the time. 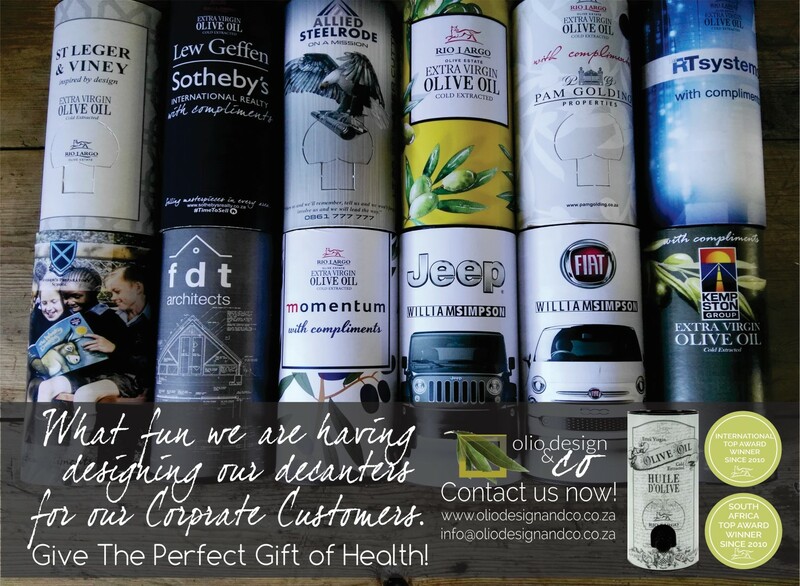 They are both special needs children and the designing artwork for Corporate Gifting and selling of Rio Largo Olive Oil was a way to help support them, with the proceeds going to pay for their medical, therapeutic expenses, and their continued education. With Rio Largo’s backing and support, Olio Design & Co is growing from strength to strength to ensure the future of these children. Have only the BEST for your client or customer. This award winning estate, is South Africa's top award winner since 2010, and has recently won several awards both locally and internationally. 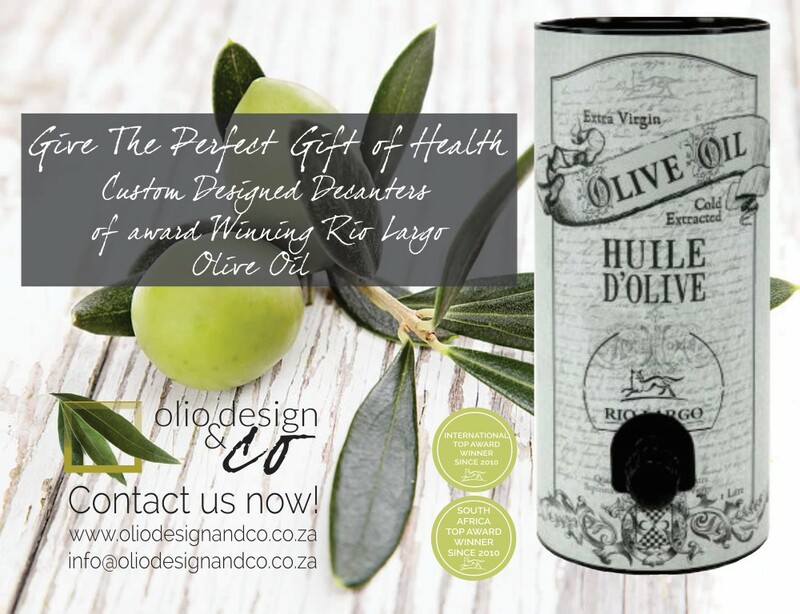 Rio Largo's Olive Oil decanter is that perfect gift, available in 500ml, 1lt and 2lt designs. Custom Brand a decanter and give your clients or customers a gift they will love! Remember this gift stays on the kitchen counter for up to a year with a daily reminder of the bearer of the gift of health. or customers will love it! and you have a fabulous Corporate Gift. 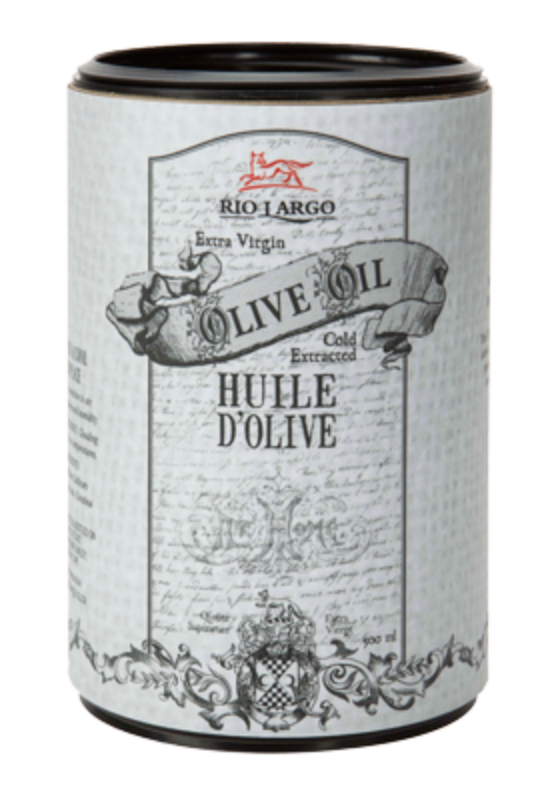 Rio Largo extra virgin Olive Oil is stored in a vacuum packed foil envelope within a decanter (tube). This unique decanter ensures you get the best out of this award winning extra virgin Olive Oil. The STAYFRESH tap offers excellent barrier properties and minimizes the contamination from oxygen and light ensuring your Olive Oil remains FRESH until the very last drop.